The South African Customer Satisfaction Index (SAcsi) measures loyalty trends for different local industries and they report that declining loyalty is an ongoing and growing trend in mobile communication. The industry landscape has constantly evolved since the inception of cellular services in 1994. Vodacom was first to market and MTN followed a short while later. Initially, the networks provided the physical infrastructure and the contracts and billing were provided by a number of service providers. At one stage there were more than twenty service providers. Over time, a number of these companies merged and were ultimately bought out by the networks “service providers”. 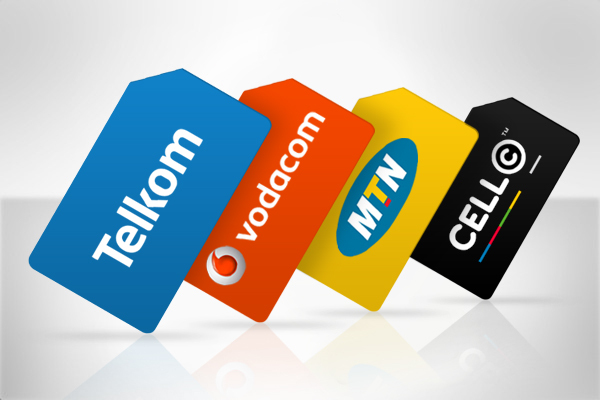 On the network side, Cell C joined the fray late in 2001 and Telkom Mobile more recently. The last two remaining independent service providers, Nashua Mobile and Autopage Cellular, sold their base back to the networks a few years back. This was the end of the service provider model and the networks controlled all aspects of their business and owned the clients. Vodacom still has the largest market share in South Africa although MTN leads if you look at Africa as a whole. Cell C saw a dramatic drop in market share after a due diligence exercise conducted in 2016 revealed subscriber numbers to be significantly lower than previous reports. Other networks make up the balance and consist of virtual networks. Local consumers are frustrated by generally poor service levels and perceived (or actual) exorbitant pricing. Data pricing, in particular, has come under the spotlight recently and we are slowly starting to see some hope of a price reduction in the near future. They have already improved control and communication over data usage and improved the carryover rules for unused data. Out of bundle data rates are still extremely high on many packages and this is a cause for concern. It is unfair to compare local prices with those of Europe and the United States as South Africa has a few unique challenges not faced elsewhere. The networks also spend an astronomical amount of money upgrading the network to keep pace with advances in data. By the same token, the bigger players at least have made buckets of money over the years. Their executives have been handsomely rewarded and the shareholders are smiling. The new incumbents have done little to increase competition and are having a tough time just keeping afloat. Relief might come from new technologies and already, people are making voice over data calls on a number of platforms for a fraction of the cost of a voice call. This applies not only to international calls but even local calls. As data (fixed, fiber or mobile) continues to improve and speeds and drop in costs, this trend will grow exponentially. The networks are looking for new sources of revenue to replace this loss in revenue and much effort is being put into content and a range of other services. So which one is the best? It is hard to say. In terms of pricing, it is very difficult to compare apples with apples. One needs to take a hard look at the packages on offer as well as the specific deals on the market at the time you wish to take your contract or upgrade. This will vary from one company to the next according to the device you want. Service wise as well as network quality, they all have strengths and weaknesses. It is impossible to say with any accuracy which is the best and this changes over time.